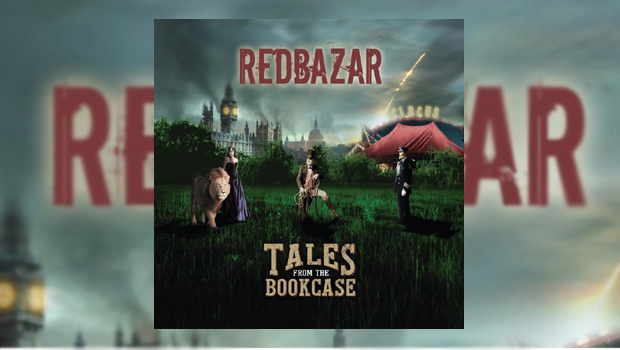 A chance meeting at a gig of Nottingham based instrumental Prog band Red Bazar with the prodigious talent of Peter Jones has resulted in the release of their first vocal album, Tales from the Bookcase, with the Tiger Moth Tales man acting as lyricist and singer. 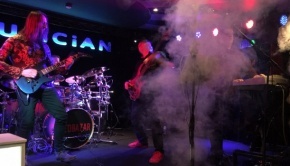 Red Bazar formed as a three piece instrumental band in 2007, releasing two albums and an EP between 2008 and 2013. The name grew from a previous group name Namche Bazaar, based on a Himalayan village well known to climbers, which the new band evolved by losing its Nepalese connection, adding a colour (like many classic bands!) and adapting the spelling of Bazaar. After recruiting talented keyboard player Gary Marsh, Red Bazar met Jones and sent him the music for Calling Her On in early 2014. They were ‘blown away’ by what Peter added to the track and the idea of combining for an album was born. Two years later the album has finally been released and the wait has been well worth it as it is a remarkable piece of finely crafted melodic progressive rock music. Poignantly the song gradually and bravely plays out plaintively with a gentle coda of acoustic guitars and keyboards as perhaps she floats off to oblivion. 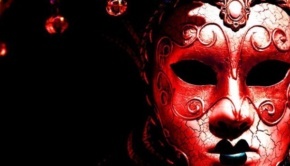 Appropriately, given the origins of the band, the opening track of the album is an instrumental piece, In the Beginning serving as an introduction for the dramatic story of Queen of the Night, Part 1. Whilst it is not a single concept the main lyrical theme of the album is derived from books and novels, hence the title Tales from the Bookcase. Queen of the Night bookends the album, based on the tragic story of Eugenia in Arthur Conan Doyle’s Sherlock Holmes story The Adventure of the Veiled Lodger. This piece opens with a heavy rock theme pounded out by Andy Wilson’s guitar and Peter Jones’ remarkably powerful vocals. We are a long way from the pastoral, softer feel of Tiger Moth Tales’ Cocoon as Jones displays a voice that could easily front any respectable heavy rock band. However, he shows his versatility as he switches vocal tones between the softer narration into the demonic proclamations of the evil ringmaster of this sinister travelling circus. These changes in colour and tone in the piece are also deftly imagined in the equally adept ability of the band to change the direction and atmosphere in the music. The conclusion of Queen of the Night, Part 2 revisits previous musical themes as Eugenia is savaged by a lion in a desperate failed attempt to kill the tormenting ringmaster with her accomplice the strongman, who then rejects her due to her lost beauty. The shallowness of relationships based on aesthetics alone is exemplified in this multi-faceted song, the instrumental coda to the tale having clear Genesis echoes in feel, but this is not a band who seek to simply copy previous Progressive rock greats. Patrick Sharp’s work of critical analysis Savage Perils: Racial Frontiers and Nuclear Apocalypse in American Culture, which refers to the U.S. paranoia of ‘Asian Hordes’ in the 1950’s, is also an unlikely but timely lyrical reference point in this powerful song. It would certainly appear that Jones’ reading goes well beyond the children’s nursery stories of his Storytellers album project from 2015. The insidious rise of Reality TV and its dulling effect on society is also touched upon in this song, although one cannot help but feel the irony that such lines are written by a once successful competitor on The X Factor! Underlying and vividly portraying this piece is the excellent playing of Red Bazar with Marsh’s rippling keyboards interlaced throughout and Andy Wilson’s plaintive high guitar floating elegiacally above the song, evoking a sense of lost promise. Strong harmony vocals also add loss and regret, punctuated by more powerful sections of visceral, angry nature. The strength of the songwriting on this album is particularly illustrated in this fine song. HMS Ulysses by Alistair Maclean is the epic war story of suffering and futile bravery which provides the theme of the centrepiece of the album, Lights of Home. This is the song on the album of which Peter Jones is apparently most proud as he has a particular penchant for tales of endurance, sacrifice and passion. The struggle of Captain Vallery and his crew to protect the Arctic convoy to Murmansk in unimaginable weather conditions and under constant Nazi attack is set against a dramatic progressive rock soundtrack of epic proportions, conveying savage violence and wistful laments of loss. The song title references the death of Captain Vallery, the old song Lights of Home being played over the ship’s P.A. system. This track shows the great drumming versatility of Paul Comerie as he capably backs up moments of pain alongside the staccato urgency of battle and destruction. Mick Wilson’s bass similarly drives the song along with equal ability to portray the darker and lighter moments instrumentally. Andy Wilson’s excellent atmospheric guitar solo midway through is taken up by Gary Marsh’s fluid keyboards to convey the poignancy of wasted lives. As the remaining ship’s crew make one last brave but futile attempt to take down their enemy with a suicidal collision course dash the band drive the narrative forward to great effect as our doomed heroes sail onwards to destruction in a hail of enemy fire. For a band that has effectively only formed with a vocalist recently this is a remarkably assured and mature piece of music, and it will appeal to many fans of classic prog rock who like a dramatic epic. The one song for which Peter Jones did not provide lyrics is Sunset for a New World, Red Bazar having sourced them previously. This song is a particular showcase for Mick Wilson’s bass melodies in the style of Chris Squire, over which Andy Wilson lays a fluid and emotional guitar solo. Marsh’s subtle keyboards help the song flow along, interspersed with some harmony vocals of which Squire would have been proud. Almost Over is perhaps the most personal song on the album as it is based on Peter Jones’ own previous depression. He subtly slips in a Peter Gabriel reference with the lyric “You Don’t Remember, You Don’t Recall” as the song builds in intensity before Marsh’s swirling keyboards swoop imaginatively over the song. The sense of desperation and loss of direction are evoked to sinister effect by the darkening music and Jones’ lyrical descent. We are clearly not in the whimsical land of Merry Vicars and Billy Goats Gruff heard on Jones’ two Tiger Moth Tales albums. Almost Over concludes with a wondering, ambiguous ending as Jones more optimistically concludes that the answer to such depression can be found inside: “You’re the Voice in Your Head”. The presence of Peter Jones on this album will understandably draw considerable attention, particularly after the success of his debut Tiger Moth Tales album, the prestigious newcomer awards presented recently by Prog magazine and The Classic Rock Society, alongside news of Jones’ recruitment to prog greats Camel for a festival in Japan. However, this is clearly very much a group effort as the music was largely written by the rest of Red Bazar. The band show great musical ability and invention here, but they have played a master stroke in recruiting Peter Jones’ vocal skills to their line-up. 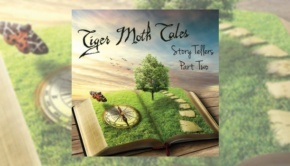 It is to be hoped that this album succeeds enough to encourage further albums by this line up, and it is reported that in an exciting exchange of talent Red Bazar have agreed to become Jones’ band for his forthcoming Tiger Moth Tales performances. In all honesty, I feared a ‘cobbling together’ of lyrics onto an instrumental album. However, that is not how this fine album sounds as the lyrics and music have been finely tuned together to great effect. This has been an excellent collaboration which has benefited all participants. Red Bazar have helped Jones express a more serious, darker side and also allowed him to display his vocal dexterity. 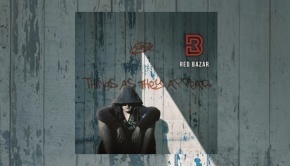 In return Red Bazar have gained a talented and very fine rock vocalist who has added great lyrical skill and feeling to their own fine emotional musical palette. This is an album that has grown and grown upon me, and, like many great albums, rewards repeated listening. This may be a bit of a dark horse, but Red Bazar may just have released one of the Prog albums of the year.